Hachiju-hachi-ya, which literally means the 88th day from the beginning of spring by the lunar calendar falls around 2nd May. Although the beginning of Summer ’’Rikka’’ is around the corner, it is also the period of the last frost, ‘’Osojimo’’. 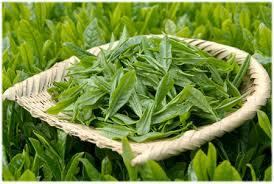 It is said that drinking the tea picked on this day will protect you from illness throughout the year. The first flush picked around this time is called ‘’Shincya’’ and we can enjoy its refreshing taste.